PHUKET: Popular Phuket DJ Paul Norris, also known as DJ Doris to his Phuket 91.5 FM listeners, was hit by a taxi and died in the early hours of this morning (Sunday). It is believed that Mr Norris collided with an airport taxi driver at around 2am this morning and was hit from his motorbike as he was making the right turn at the Naka Market intersection. As traffic lights flash amber at this time of the night, there may have been confusion as to whose right of way it was. A spokesman at 91.5 FM told The Phuket News this morning that they felt like they had 'lost a family member and were deeply saddened by the news'. 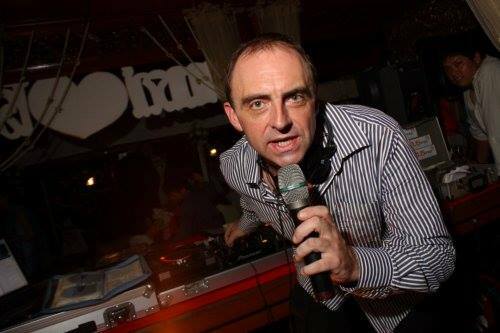 Mr Norris first moved from his native Scotland around seventeen years ago, and after one year in Bangkok made the trip to the island to become the resident DJ at a new club called 'Chicago's Fun Pub' where he remained for three years. After a further two-year stint working in a variety of places around Phuket, he returned home to Scotland for five years. In 2008, an opportunity to work in a radio station that was to become 91.5 FM became available and he returned to the island. He became a very popular Phuket broadcaster and presented both the breakfast and afternoon shows at different times throughout his career. Mr Norris also had a serious road accident in June of last year and was put on a life support machine overnight for injuries he sustained while attempting to navigate the pot holes behind Jungceylon. He returned to Scotland soon after for a 'two month sabbatical', and returned to Phuket and the radio station in October 2013. Former 91.5 FM colleague Garry Holden who started his new weekend show with Live 89.5 yesterday told The Phuket News that he was upset that they had not had a chance to speak since he departed the radio station two months ago. "We'd had our ups and downs, but i'm going to miss him so much. He supported me and helped me get my start in radio and I just feel lost." Police are continuing their investigation and are interviewing witnesses including the taxi passengers.